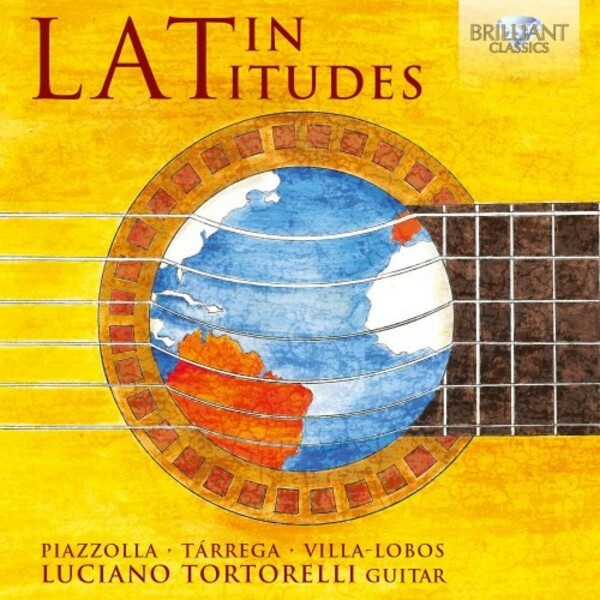 Concert performer and professor of classical guitar, Luciano Tortorelli is one of Italy’s most prominent guitarists. This release is a labour of love that sees him crossing continents between Europe and Latin America, choosing the very best solo guitar music from the 19th century right up to the present day. The release begins with Astor Piazzolla, an Argentinian of Italian descent, whose music is infused with both European and South American overtones. It crosses the ocean back to Spain, to Julián Arcas and his pupil Francisco Tárrega, with the splendid Fantasía sobre motivos de La Traviata, usually attributed to Tárrega but actually written by his teacher. Back in South America we find Paraguayan composer Barrios Mangoré, whose Gran Vals, composed in Buenos Aires in 1919, is coloured by the permeating European culture of the city at that time. Brazilian composer Heitor Villa‐Lobos also features, with his Suite populaire brésilienne, which fuses popular Brazilian music with higher levels of elegance and evocative lyricism. Finally, Tortorelli concludes his selection with his own composition: Dobrú Noc Brno, or ‘Goodnight Brno’, inspired by Czech lullabies, and uniting European and Latin American influences in a lyrical atmosphere that beautifully expresses the contrasts and affinities between the two cultures. This is a highly personal project for Tortorelli, who has not only carefully selected each piece to reflect the crossover between Spain, Italy and Latin America, but has also examined each manuscript to ensure he is performing the most authentic edition possible. A highly experienced performer, he has previously played at St‐Martin‐in‐the‐Fields in London, the Tchaikovsky Conservatoire in Moscow, and on RAI national television in Italy.